We had a great trek with a great guide, very nice food and nice horseman.Also the whole group has been very funny and we had a great time. 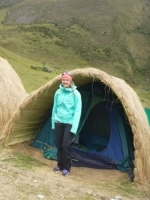 An incredible Andean adventure – don’t miss out!! 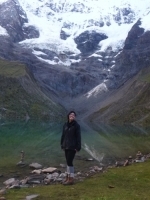 This 5 day, 4 night trek along the Salkantay trail was an unforgettable experience and the highlight of my adventures in Peru. 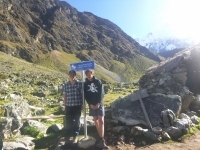 Two fantastic guides who were informative and dedicated, a lovely group of people from across the globe, tasty food and well planned activities meant we couldn't have asked for anything more. 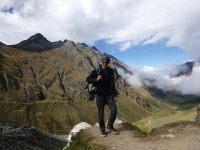 An amazing adventure into the heights of Machu Picchu! 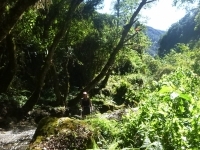 The walking was challenging at times, but worth every minute with the spectacular views, unpredictable climates, beautiful vegetation and numerous animals. 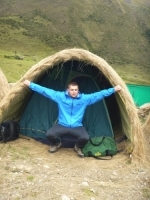 Inca Trail Incredibles :) !! This was an adventure of a lifetime and one that did not disappoint. 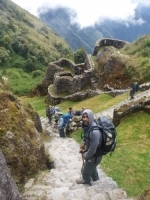 Inca trail reservations covered everything anyone could possibly want in a five day trek. The guides were amazing and incredibly encouraging. A special mention to Raul and Jorge who were always available and informative. The whole expedition was great but I will try and give suggestions. Before I left I would have liked to been given a summary of what I could have expected to see. For example the flora/fauna. 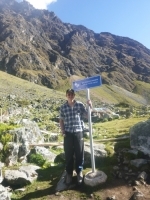 The Salkantay trek was by far the hardest climb over a mountain pass I have ever experienced. 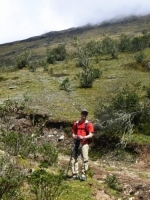 Raul was very encouraging and professional in his manner of handling all the different levels of ability of our group. This is a trip that I will remember and cherish for the rest of my life. I couldn't imagine a better company to have shared this with. 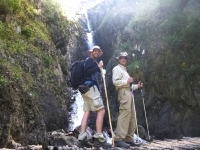 The guides were simply amazing and very informative, making the whole trek enjoyable and comfortable. Started the expedition off by going to the office to meet our group and our guides and go through the itinerary. This was really good to get to know everyone and get a full play by play of what will go on on the trek. Had an amazing 5 day trek with a 14 person group. Everyone was well looked after my the guides but I still felt we had some independence to do our own thing if we wanted to. Raul and Jorge were legendary. This was truly an excellent experience. The staff couldn't have been nicer and more accommodating. 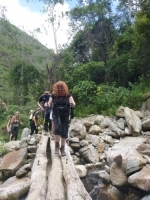 This trek was a lot of fun. We had a small group of six, which was very pleasant. Every porter went out of their way to make us feel at home, which was very welcome. We actually would have liked the opportunity to pitch and help out, to make the trip even more challenging. 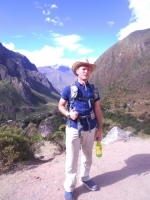 My experience on the salkantay trek was amazing. 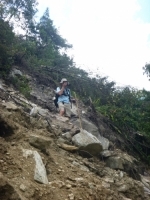 the guide, juan carlos, was so passionate about the history of his people. he told amazing stories and everyone in my group was so thankful that he was our guide. Abi was was amazing. The porters were incredible. The food was so good. Service was excellent. The hike was Epic, so much fun. 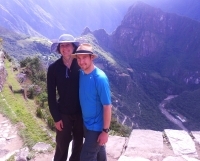 I feel like we earned our visit to Machu Pichu. So much fun, so glad i did it. Abi was very informative and taught us alot.